Best File Manager Apps for Android: One of the difficult task for every android user is file management. It is difficult to organize the data of Android phone in a systematic manner and to store the data of similar type in dedicated files only. Without a file manager app, Every time finding the data and storing them in their dedicated files is a very time consuming and require a lot of patience. If we organize our data in a systematic manner then it will be easy to find the data which we require whenever we want easily but as I told above this task is very difficult. For doing this task there are some android default file manager apps, but they are not effective don’t worry in this article we are going to share some of the top file manager apps. File Manager is a tool that is used to organize the data in a systematic manner according to the type of files. This tool automatically finds the data and store them in the dedicated files. The use of these tools is we can find the data which we require easily because this tool stores the data in a systematic manner. 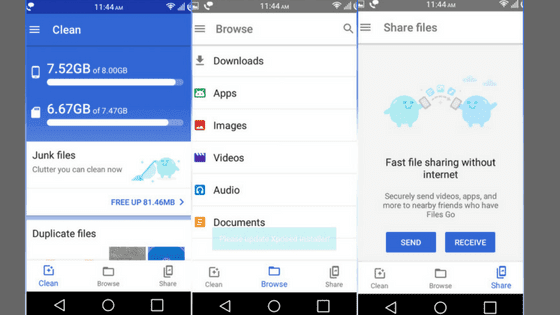 These apps help to manage files on Android easily. These apps have a simple user interface and they are very easy to use and everybody can find the required data faster this is the specialty of these tools. This file manager tool is a very powerful file explorer for Android devices. It is full-featured, fast and free. It has a simple user interface and it is simple to use. 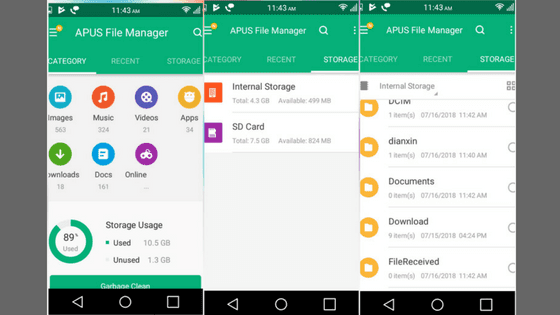 By using this tool you can easily manage your files and folders on your android device. This file manager supports all the operations like search, navigate, directory, copy, paste, cut, delete, rename, etc. It is one of the best-rated apps by users. Main storage: we can manage all files and folders on both external and internal storage. New files: files and folders are automatically sorted by their characteristics so that you can find easily your data. Apps: you can manage all the apps that are installed on the android phone. Storage analysis: it shows how much memory has been occupied in the phone. Cloud access: you can access the cloud storages also like FTP or NAS server. 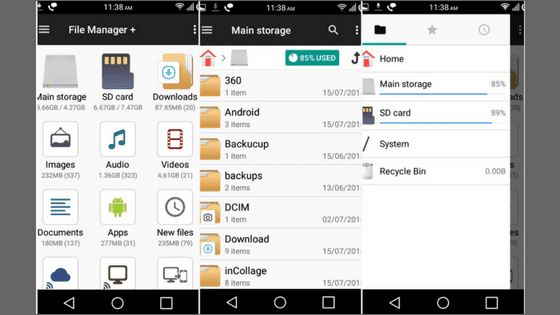 ES File Explorer is one of the popular file managers in this domain it has a lot of good features in this app. There are a lot of advantages of using this app they are free, safe, efficient and simple. It is all in one app this app will clean junk files. By using this app you can manage both network and local use. It helps to manage all the files efficiently in your android phone and it effectively shares the files in offline too. And it also has a zip extractor in this so that you can easily extract all the zip files with this app. 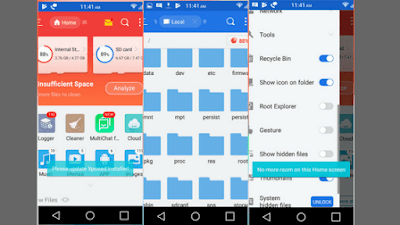 File manager and Folder manager: Efficiently manages all the files and folders that are created in your android device. Remote file access: it can get your files from anywhere even from the cloud storages also. File transfer: the file transfer and searching by this app are very fast and efficient. It kills the app tasks which are running in the background and free the memory and enhance the performance of the android phone. This app is also is the most downloaded app across the world. So try this app. This app is small in size, simple but very powerful app. This app is one of the best file managers for Android phones with full featured file management and transfer. Full featured file manager: This app provide full featured file management. It includes cut, copy, paste, move, delete, rename, share files, for internal memory, and SD Card. Super fast file transfer: This app provide super fast file transfer within and with pc and with other devices also. 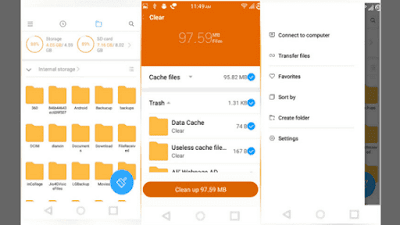 Storage analysis & junk file clean: It intelligently check the storage of the phone and displays it to the user and also it detects the junk in the android phone and helps to clean them. Private and safe: by using this app your files in your android phone are completely safe. Files go is one of the new storage file managers that helps you to free up space on your phone, you can find files faster and share them easily offline with others. Free up space: By using this app you can free up the phone space easily with just one tap. Deletes the unused apps and duplicate files and photos and it regularly cleans your cache and enhances the performance of the phone. Check your storage: app checks the occupied space by the files in your android phone and shows the free space available to the user. Smart recommendations: when you are running out of space this app recommend you to delete the duplicate files and apps in your phone. This is very useful for the users of this app. Find files faster: it saves the time by finding the files faster. It uses filters rather than the folders so it helps to find faster. Encrypted file sharing: by using this app file sharing is secured with WPA2 providing more secure file transfer. Backup files to the cloud: if you want important files to keep forever then select those files and back it up to Google. This app is developed by the Xiaomi. This app is a secure tool that helps you to find the files faster, manage files easily and we can share them offline with others. It has key features like quick search, moving, deleting, opening, and sharing files as well as renaming, unzipping, copy and paste. Recent: you can view the files you worked with recently and you can use them again without searching. Categories: the files in our phone will be organized into categories by their formats. Storage: it checks the storage statistics and manages them efficiently on the device. Global search: just enter keywords to find the files. File compression: by using this app we can compress or decompress zip and RAR archives.